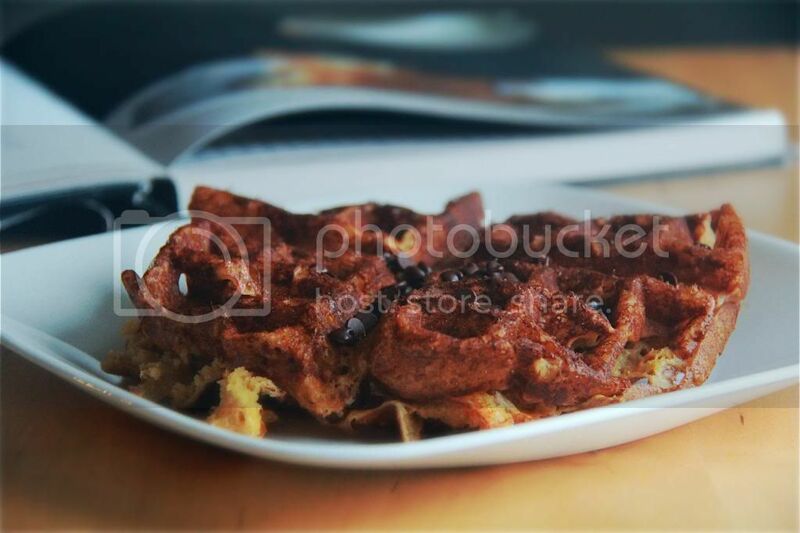 Crumbs and Cookies: malted waffles. Today, I pulled out my neglected Baked Explorations cookbook and my even longer-neglected waffle machine, and made waffles. Waffles with malted milk powder to be exact. Everything was going along rather uneventfully. I mixed up the batter, poured it onto the preheated iron, closed the lid, and waited for the machine to beep a second time. I even managed to practice enough self-restraint to not overfill the damn thing like I always do out of greediness. And then, the waffle iron beeped. I lifted up the handle and found that the waffle stuck. It split cleanly into two lengthwise when I opened up the iron fully. Never mind, I thought. The first one is always a flop. (It was a tasty flop though). I tried again. And again. After the third try, I came to the conclusion that the batter simply does not yield a waffle with enough structural integrity to be baked using a Belgian waffle maker of the deep-pocket kind. I solemnly swear that I greased the waffle iron properly too. So the moral of the story here is to use the waffle maker that makes the thin shallow kind of waffles. If you don't have one, like me, and you would rather not go through the trouble and heartache of making failed waffles with the other kind of waffle maker, turn the batter into pancakes. There is nothing much else to critique about these waffles except maybe that they could use a bit, okay, a lot, more sugar. 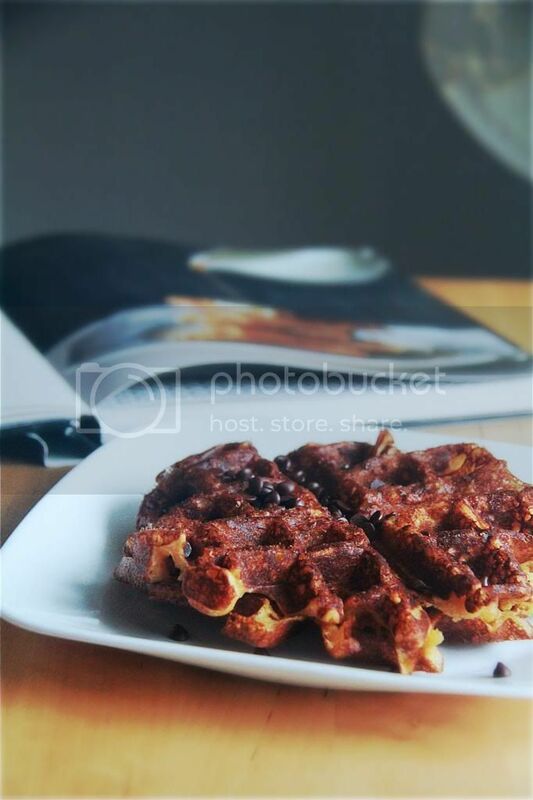 I'm sure that most waffle recipes are designed to contain modest amounts of sugar so that you can go crazy and top them with maple syrup and chocolate and all kinds of crazy sweet accompaniments after they're baked but it's nice to have a waffle that is flavorful enough to eat by itself. That isn't to say that these were bland- you can detect a nice hint of malt in them- but more sugar would make these taste so much better. Just saying. Grease and preheat waffle iron. Whisk the flour, sugar, malt powder, salt, baking powder and baking soda in a bowl. Whisk the eggs, buttermilk and melted butter together in another bowl. Stir the wet mixture into the dry mixture until just combined. Bake waffles according to your waffle machine's manufacturer's instructions. Serve immediately with chocolate chips- time and tide waits for no waffles!